Columns are timeless architectural elements broadly used in classic facades. Weser columns, in reconstructed stone, are decorative elements which can be used as structural situations if necessary. In this case, they must be filled with reinforced concrete. 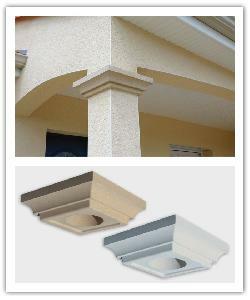 Weser offers fluted or smooth columns in 26 or 35cm. dia. made of hollow element.